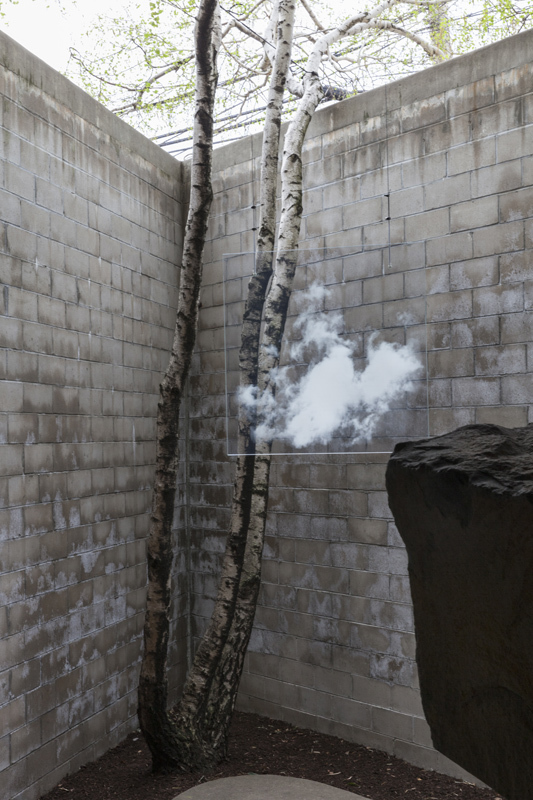 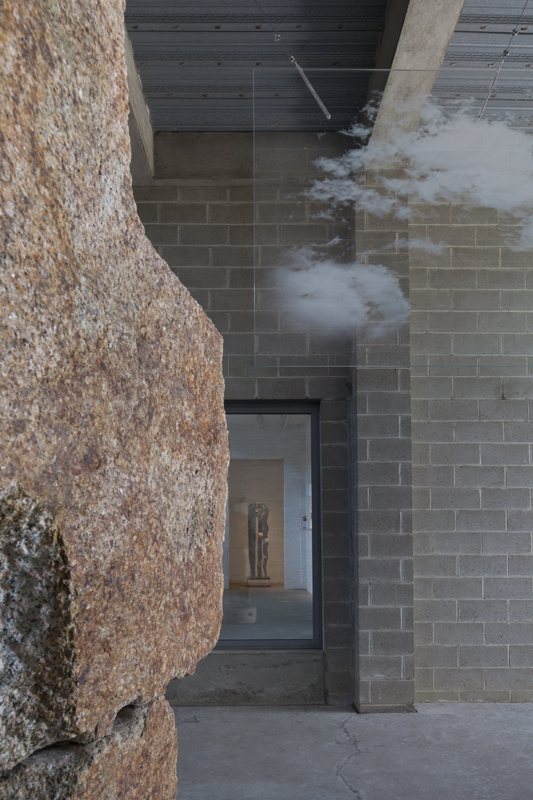 Clouds is an installation of 2 site-specific sculptures at The Noguchi Museum in Long Island, NY. 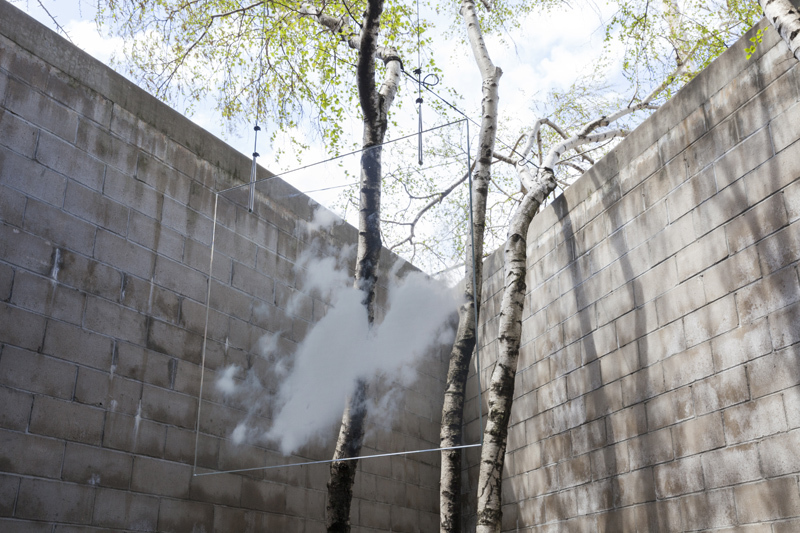 The suspended plate-glass sculptures are engraved with 3D images of clouds. 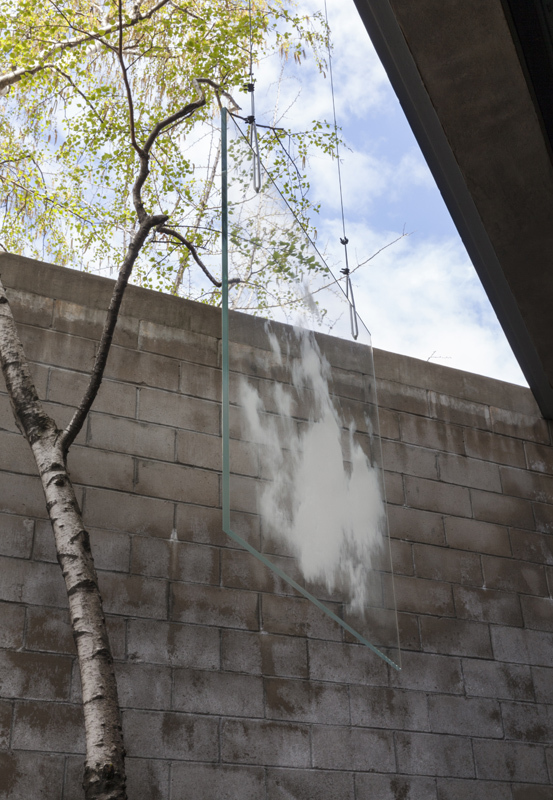 Although clouds are static, the surface of the glass seems to move as it mirrors changes in the environment. 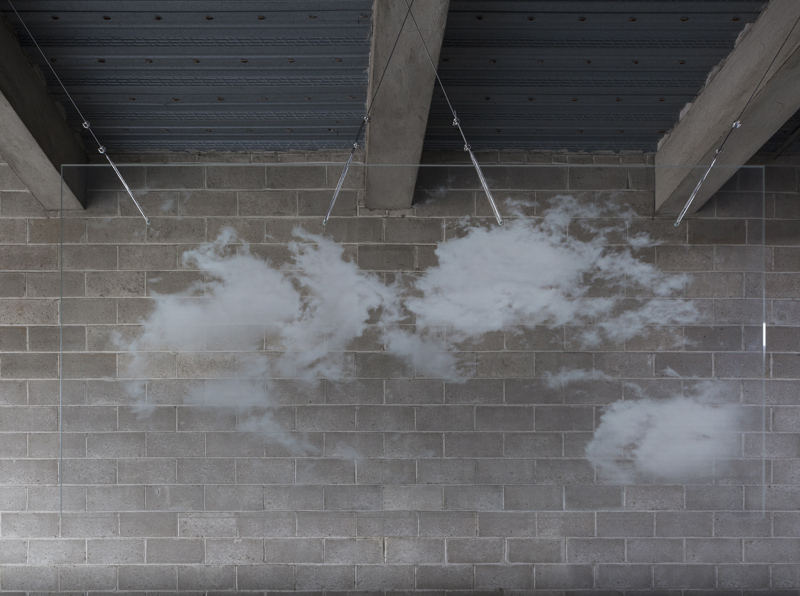 Meanwhile, the clouds shift in and out of sight as viewers walk around them.